Missouri Education Watchdog: Common Core Lesson of the Day: School Boards Do Not Operate as Intended. They Need to Reclaim Their Authority to Make Educational Decisions. Common Core Lesson of the Day: School Boards Do Not Operate as Intended. They Need to Reclaim Their Authority to Make Educational Decisions. 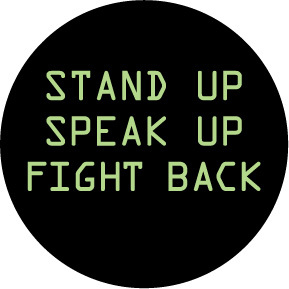 This is the message to School Boards: Stand up, Speak Up, Fight Back Against Common Core Adoption/Implementation. Reclaim Your Power and Authority as a School Board to Direct/Develop Educational Policy. A Missouri parent submitted this post about her research into Common Core and school board operational procedures. She details how the rhetoric of how a school board is supposed to operate doesn't correlate to how school boards actually function. My husband and I attended a district wide school levy meeting and because my daughter had told me the school was implementing a new curriculum, I took the opportunity to ask the superintendent who was paying for the new Common Core curriculum. The superintendent replied the school was paying for Common Core. I was satisfied with that answer, and didn't think any more of it until after the meeting, when someone suggested, you may want to look into Common Core a little more. It was that comment that prompted my research and it was that comment that caused me to ask to be listed on the next school board meeting agenda. I've never been to a school board meeting but I was sure if I took my newly formed list of questions I had developed after researching Common Core that the school board would be able to answer them. I envisioned to have my concerns alleviated and questions answered by the school board about Common Core. What happened at that meeting caused a series of events that have fundamentally shifted my perception of how local and state government works. ...The U.S. Supreme Court has said education is perhaps the most important function of state and local governments. Our system of local school districts and boards of education epitomizes representative and participatory government--citizens elected from their community making decisions about educational programs based on community needs, values and expectations. Local boards of education also allow for community participation in that decision-making process. Boards of Education not only represent the public, but also translate the needs of students into policies, plans and goals that will be supported by the community. If this is how the school board functions, how is Common Core happening? We now are trying to empower our school board members to understand their vital role in what happens in our schools. So much has been delegated to superintendents and to the Department of Education, that they have lost their ability or vision to act in their proper roles. She said to me, you will lose your funding and your accreditation. I asked her how much funding we would lose, and if our title one funds would be in jeopardy, to which she said, yes. I then asked her, If Common Core is not a federal program why would we be in jeopardy of losing our title one funds? She said, Everyone knows this is a federal program. So then I said, So basically you're telling me we have the right to not adopt the standards, they are just making it impossible to exercise our rights? I could go on... I guess the point is, we have rights, our school board has rights, etc. etc. If all of a sudden a bureaucracy told us we no longer had rights, there would be a concerted effort to reclaim those rights, but that is not how this is happening. The discussion with the MSBA lawyer seemed to sum it up. We are still told we have those rights, so we feel reassured. It's when we try to exercise those rights, that's when we discover how difficult it has become. We have delegated responsibilities so long to paid administrators and DESE that we don't know how much we have given up. In all fairness, it's been left for someone else to do. They have been paid to do the job for a large portion of citizenry which has lost its passion and desire to be engaged and informed. Some of it comes from lack of know-how and some from feeling like we can't make a difference. The secret is, (I've learned this in a way I never would have known before my quest to understand Common Core, but that's a different story), if we each took time call our school boards, and our state representatives and senators, Common Core wouldn't be an issue. What has stopped us from having great schools for our kids, is us. We the people. We must, like the saying goes, Be the difference we want to see in the world. Don't be afraid to inspire your school board and/or your representatives and senators with knowledge and information! If you are in Missouri, take a copy of this school board resolution to your school board. Ask board members to sign it. If they refuse, ask the members the reasons for refusal. If you are in another state, adopt/adapt language to fit your state so your school board can reclaim its power to direct educational direction/delivery for your students. Extremely well done!! Kudos to an informed and active parent! I will be looking into the same now here in NY at my local school board.